If you don't know who Dave Draper is. 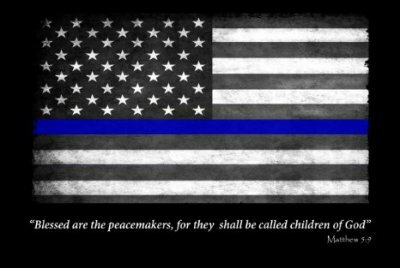 You should recognize this picture here at least. Dave and Arnold working out together. Dave Draper was a Mr. America, Mr. World and Mr. Universe. He is an author of many Books and written many articles in Magazines such as Muscle & Fitness, Muscular Development, IronMan, and OnFitness. When I switched to Powerlifting from a Bodybuilding style routine. I switched to Low Bar squat. It was something I didn’t think would be hard to do, but it does take a learning curve and other things to figure out. Shoulder mobility being a huge factor. 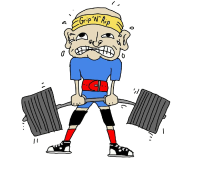 I quickly developed tendinitis in one of my shoulders and elbows, from trying to support the weight. Wrist wraps helped here and a slightly wider grip, but even then once I get over 400lbs and start doing reps, my shoulders and wrist still take a beating and would take forever to recover from. Which made my bench suffer. 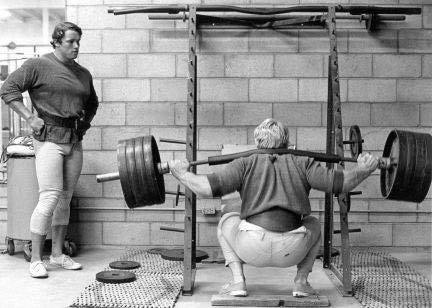 Let’s hit the number one reason person who can benefit from the Top Squat. Guys who have shoulder injuries. If you have banged up shoulders and haven’t been able to get under the squat bar. This will fix that issue and have you squatting again. 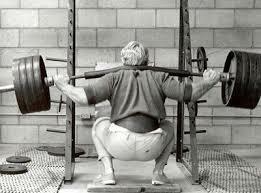 For Bodybuilders the Top Squat is another exercise to hit the legs at a different angle and spark new growth. It’s also great for those High Rep squat sessions. The Top Squat allows you to Squat without externally rotating your shoulders for squats. Why torture your shoulders when doing 15-20 rep sets, when you really need to focus on blowing those legs up. Save the stress on the shoulders. So you can hit your chest and shoulders that much harder when its time. The Top Squat will help keep them fresh. 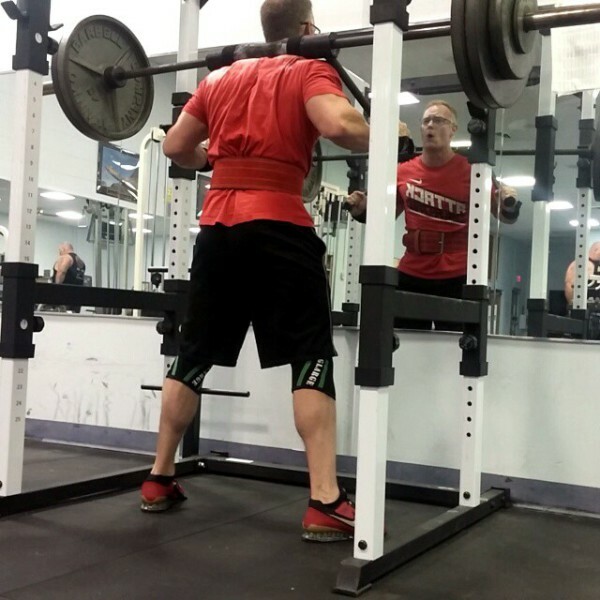 For Powerlifters the Top Squat is a perfect accessory exercise for Squats or deadlifts. I’ve been using it in my 5/3/1 program on my Squat days. It’s a great way to keep squatting, but give my shoulders, elbow and wrist a break. 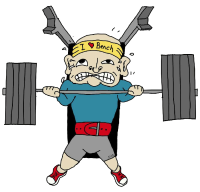 I can’t tell you how many times I have had sore shoulders or wrist from a heavy squat day and when it was time for Bench. So my Bench training would suffer. Many guys combat this with a Safety Squat or Buffalo Bar. Many of us don’t have a gym that have these specialty bars. So that leaves us the option of buying a specialty barbell to haul back and forth to the gym every week. Who wants to do that? Also another great way and might be better for most. 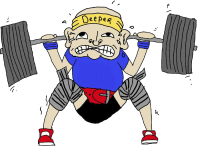 Is to use the Top Squat on Deadlift days as an accessory lift. This will allow you to Squat twice a week. 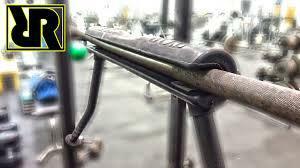 Now why would you buy a Top Squat over a Safety Squat bar? For me it was Price and the size. I workout in two different Gyms and both are public gyms, so buying a $400+ Specialty bar was not looking good. I can’t leave the bar at the gym and it wouldn’t really fit in my car every well. So that’s when I started looking around for a Safety Bar attachment and found the Top Squat. I did see some shady looking DIY attachments. Once I opened the Box and saw the Top squat, I’m glad of the decision I made. Ok let’s go over all the advantages of the Top Squat. It takes a little bit to get used to. You have to rotate the bar with the handles during your Movement. The bar sits in the High back position at the start (top) of your Squat and your hands are just below your shoulders holding on to the bars. Has you drop into your squat. 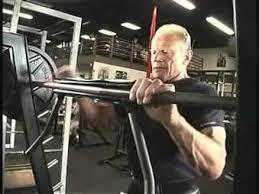 You move your hands up and the bar rotates more into a low bar position. So at the bottom of your squat your hands should be near level with your Shoulders. It’s not much of a movement, but it takes a bit to get used to.